The Titans have the same 1-4 record as a season ago, but Ken Whisenhunt is confident the team has improved. The Titans enter Sunday’s game against the Falcons at 1-4, and with wins hard to come by thus far, head coach Ken Whisenhunt knows fans are frustrated. Tennessee has last four straight and their record through the first five weeks is the same as a year ago. 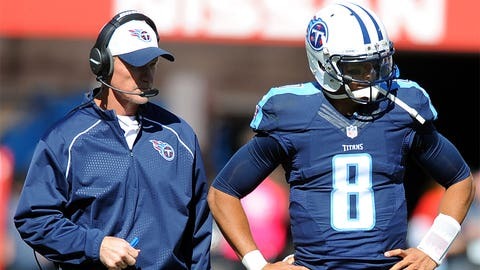 Nonetheless, Whisenhunt said he can see improvement from his team and the player see it as well. One area that has yet to improve is Tennessee’s record playing at Nissan Stadium. The Titans enter the final game of a four-game homestand having lost 10 of 11 games at home, including eight in a row.